New Logo and a look at some older looks. 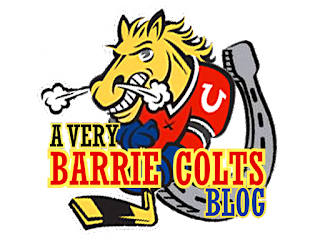 #OHL #Colts - Very Barrie Colts | A website covering the Barrie Colts of the OHL. 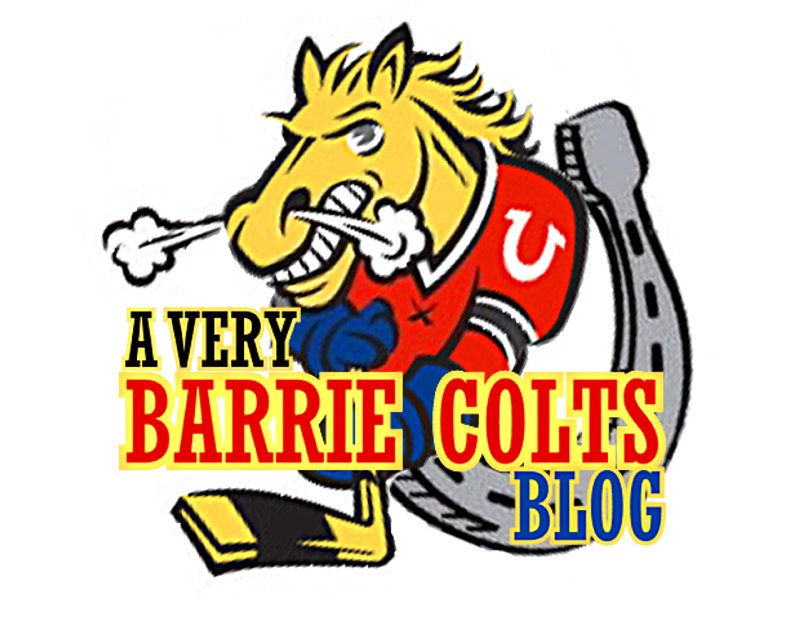 Some of you may have seen on social media, or even at the top of the sire that we have recently changed out logo. Not a huge change, just something a little different. We hope that you like it as much as we do! How does the new logo hold up against some of our other ones? We are sure you remember this one.. You know, the one we used shortly after launch until pretty much yesterday..
Not a huge change really when you see the logos so close. We had several variations of this logo whether it be a pink ribbon behind the font for breast cancer awareness or this 'American Horror Story" themed one we used for Halloween. For some of you OLD TIMERS! (or those who have been with us for the couple years since launch, you might remember these logos. Well this was our first logo.. Which lasted a couple weeks before we changed it to this.